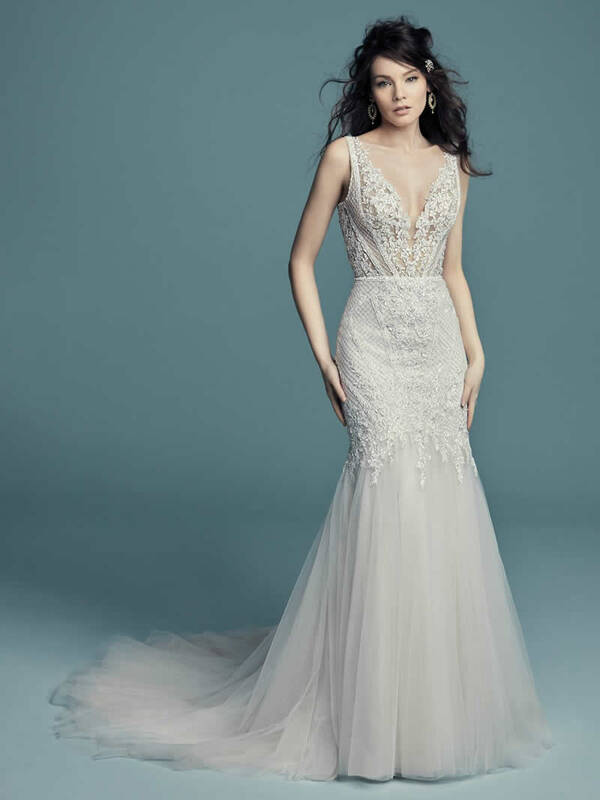 This unique and vintage-inspired wedding dress features beaded lace motifs and shimmering crosshatching atop a tulle fit-and-flare skirt, with a lined bodice (Tanner, 8MN792) or sheer bodice (Tanner Lynette, 8MN792MC) option to fit a bride’s preference. Straps glide from illusion plunging neckline to scoop back, also accented in lace motifs. Lined with Inessa Jersey for an elegant fit. Finished with covered buttons over zipper closure.